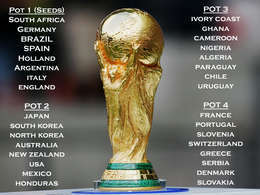 Full fixtures list for the FIFA 2010 World Cup to be held in South Africa. It has been four years since Marcello Lippi’s Italy side lifted the trophy in Germany. Fans have waited a long time and just to whet your appetite even more, we bring you the full fixtures list.